**Opening Spring 2019** Renato Villas is a vibrant new neighborhood of 41 stylish two and three-story townhomes located in the heart of Orange County in the beautiful city of Anaheim. 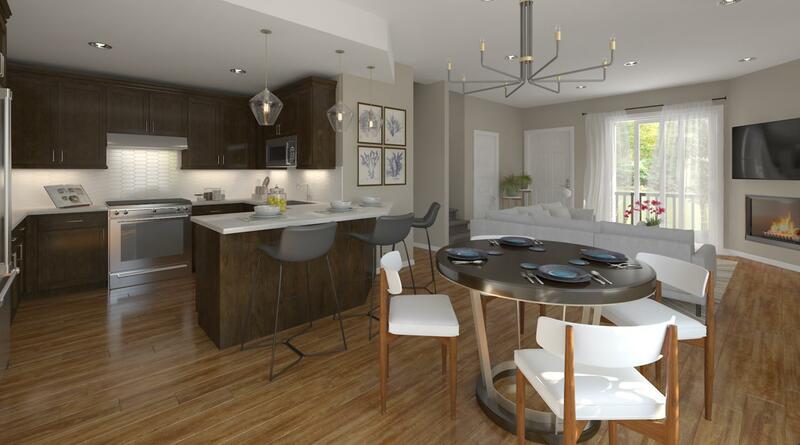 With both two and three-bedroom options up to approximately 1,434 square feet, new residents will enjoy a thoughtful design that makes coming home the highlight of your day. Residents will enjoy close proximity to both the 5 and 91 freeways, as well as convenient access to many of Orange County’s top attractions such as world class theme parks, professional sports teams, and the Anaheim Packing District. The homes at Renato Villas feature contemporary finishes, spacious living environments, and attention to detail with you in mind. With features such as Gourmet Kitchens, spacious Master Suites, and an attached two car garage; Renato Villas makes for a great place that anyone can call home.